Amidst fresh Indo-Pak tensions, top legal eagles of the two countries will present their arguments in the high-profile Kulbhushan Jadhav case before the International Court of Justice (ICJ) here from Monday during four days of public hearings. Jadhav, a retired Indian Navy officer, was sentenced to death by a Pakistani military court on charges of espionage and terrorism in April 2017. India moved the ICJ in May the same year against the "farcical trial" by the military court of Pakistan against 48-year-old Jadhav. India first approached the ICJ on May 8, 2017 for the "egregious violation" of the provisions of the Vienna Convention on Consular Relations, 1963 by Pakistan by repeatedly denying it consular access to Jadhav. A 10-member bench of the ICJ, which was set up after World War II to resolve international disputes, on May 18, 2017 had restrained Pakistan from executing Jadhav till adjudication of the case. The ICJ has set a timetable for the public hearing in the high-profile case from Febraury 18 to 21 in The Hague. The hearings at the ICJ will take place four days after one of the worst terror attacks in Jammu and Kashmir that killed 41 CRPF soldiers. The terror attack happened when a suicide bomber of Pakistan-backed Jaish-e-Mohammad (JeM) blew up an explosive-laden vehicle near a convoy of CRPF buses in Pulwama district on Thursday. India on Friday summoned the Pakistan high commissioner to issue a very strong demarche over the terror attack. On Saturday, India hiked the customs duty to 200 per cent on all goods imported from Pakistan, following revocation of the Most Favoured Nation status following the Pulwama attack. Former solicitor general Harish Salve is expected to represent India while Pakistan will be represented by Barrister Khawar Qureshi at the ICJ. While India will argue first on February 18, Pakistan will get its chance to make submissions on February 19. Then India will reply on February 20 while Islamabad will make its closing submissions on February 21. It is expected that the ICJ's decision may be delivered by the summer of 2019. While maintaining that India remains committed to make all possible efforts to secure and protect the rights of Jadhav, the spokesperson of the Ministry of External Affairs Raveesh Kumar did not make public New Delhi would take at The Hague. "India will present its case before the court. Since the matter is sub judice it is not appropriate for me to state our position in public. Whatever we have to do, we will do at the court," Kumar said last week in New Delhi in response to a question. Pakistan's Attorney General Anwar Mansoor would lead the Pakistani delegation at the ICJ while Director General South Asia Mohammad Faisal would lead the Foreign Office side. Ahead of the hearing, a senior Pakistani official said that his country is committed to implement the decision of the ICJ in the Jadhav case. "We are fully prepared with our strongest evidence being the valid Indian passport recovered from Commander Jadhav with a Muslim name," the official said. Both India and Pakistan have already submitted their detailed pleas and responses in the world court. In its written pleadings, India accused Pakistan of violating the Vienna Convention by not giving consular access to Jadhav arguing that the convention did not say that such access would not be available to an individual arrested on espionage charges. In response, Pakistan through its counter-memorial told the ICJ that the Vienna Convention on Consular Relations 1963 applied only to legitimate visitors and did not cover clandestine operations. Pakistan had said that "since India did not deny that Jadhav was travelling on a passport with an assumed Muslim name, they have no case to plead." Pakistan said that India did not explain how "a serving naval commander" was travelling under an assumed name. It also stated that "since Jadhav was on active duty, it is obvious that he was a spy sent on a special mission". In its submission to the ICJ, Pakistan had stated that Jadhav is not an ordinary person as he had entered the country with the intent of spying and carrying out sabotage activities. Pakistan claims that its security forces arrested Jadhav from restive Balochistan province on March 3, 2016 after he reportedly entered from Iran. However, India maintains that Jadhav was kidnapped from Iran where he had business interests after retiring from the Navy. Jadhav's sentencing had evoked a sharp reaction in India. 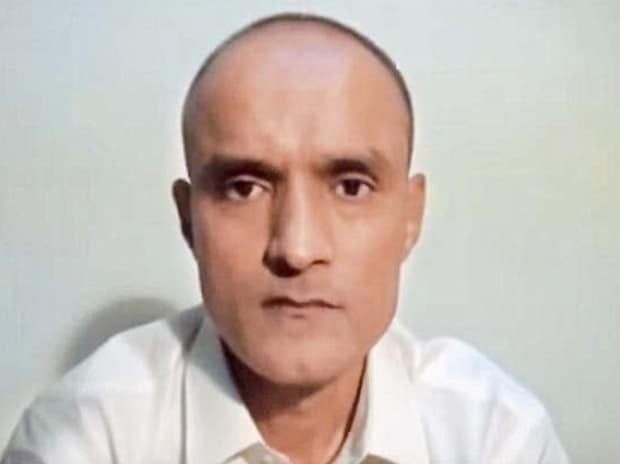 Pakistan had rejected India's plea for consular access to Jadhav at the ICJ, claiming that New Delhi wants the access to get the information gathered by its "spy". However, Pakistan facilitated a meeting of Jadhav with his mother and wife in Islamabad on December 25, 2017. In the pictures issued by Pakistan after the meeting, Jadhav was seen sitting behind a glass screen while his mother and wife sat on the other side. They spoke through intercom. Later, India accused Pakistan of disregarding cultural and religious sensibilities of Jadhav's family members under the pretext of security by removing the mangal sutra, bangles and bindi of his mother and wife before they could meet him. India also asserted that Jadhav appeared coerced and under considerable stress during the tightly-controlled interaction at the Pakistan Foreign Office.